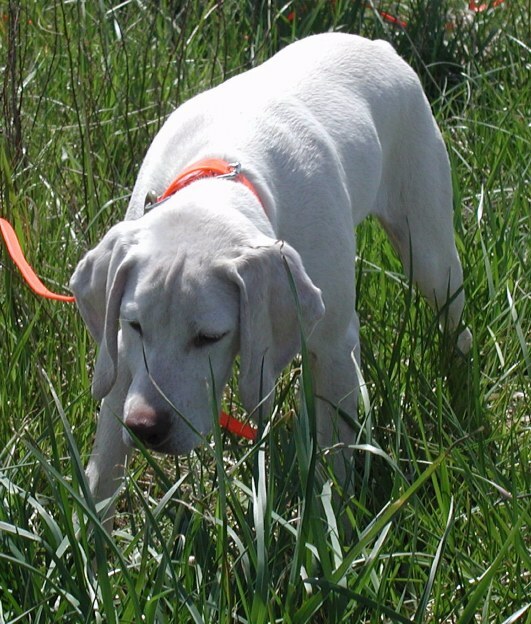 Working with owners and their canines to stimulate a positive companionship. 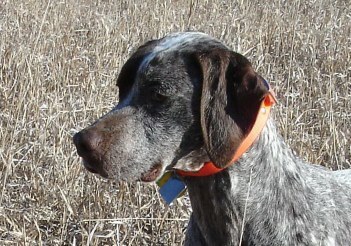 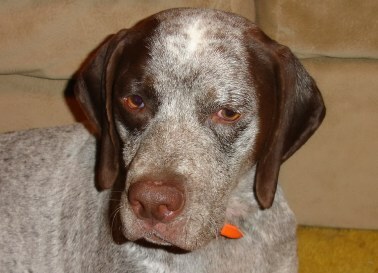 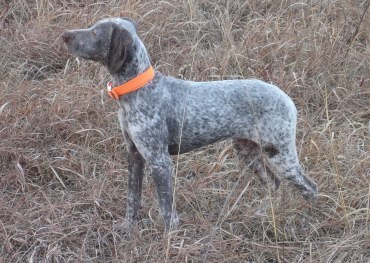 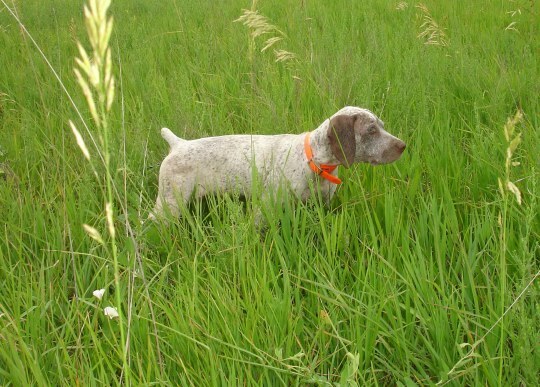 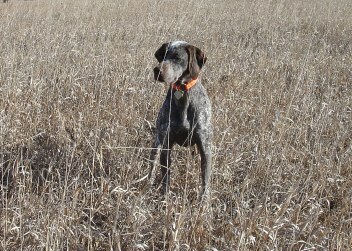 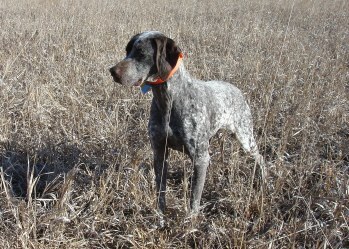 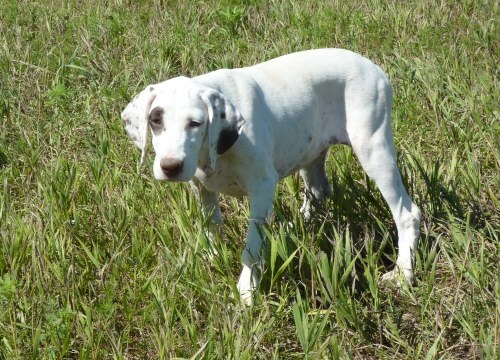 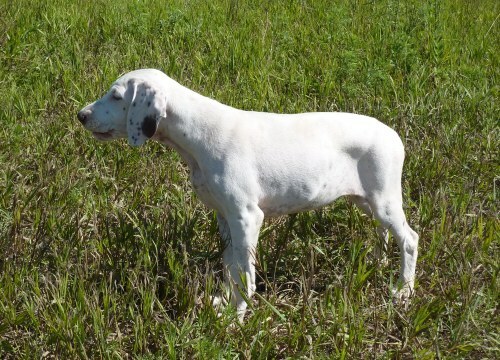 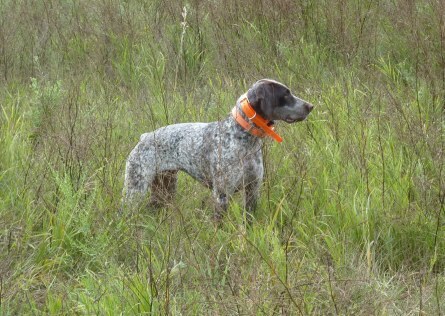 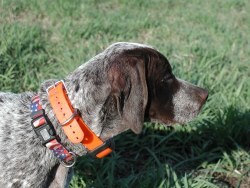 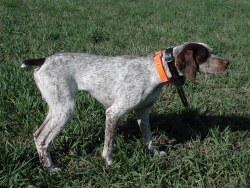 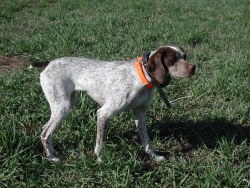 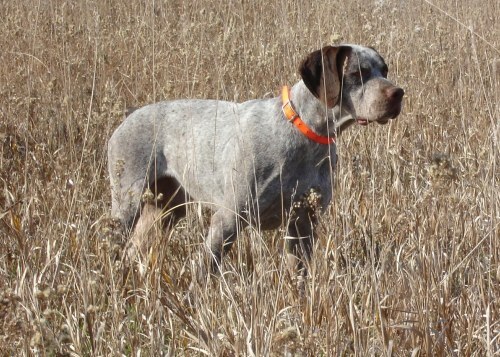 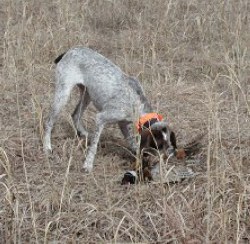 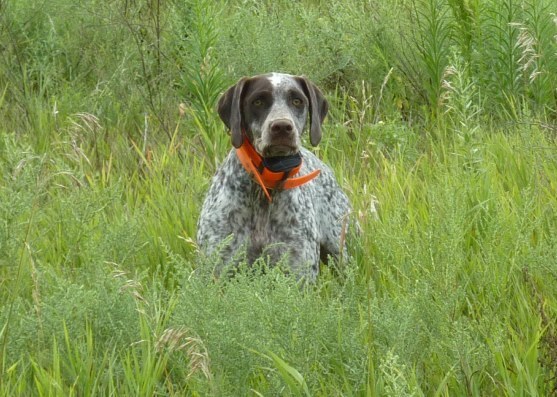 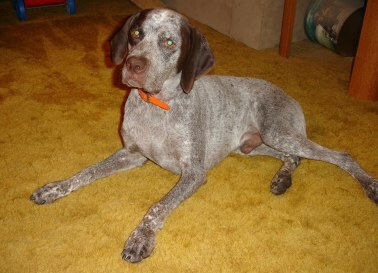 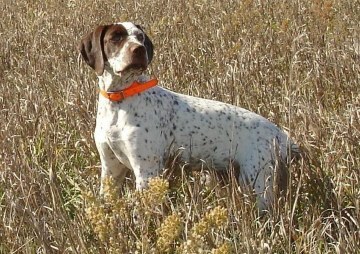 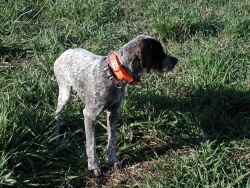 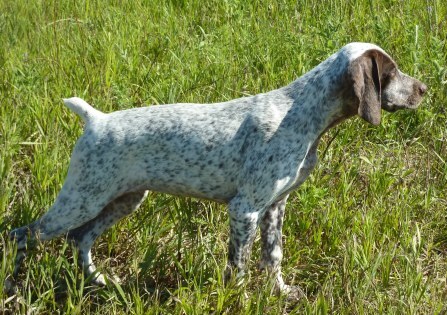 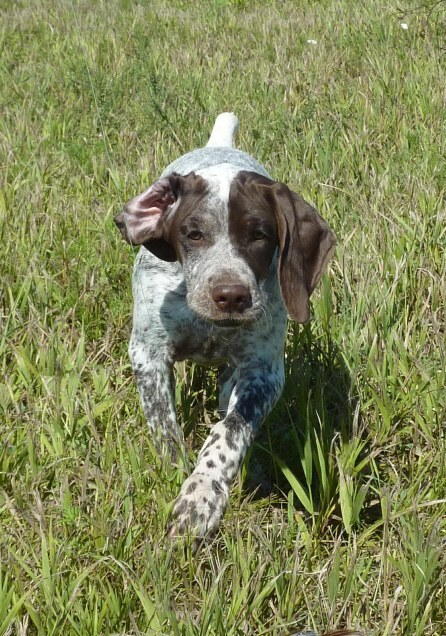 Obedience and Field training as well as, family companion and weekend hunting partners. 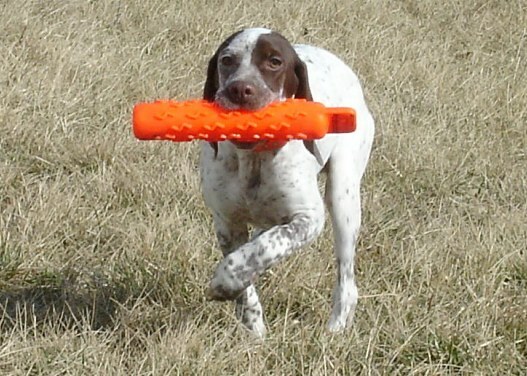 Training should be fun and rewarding for you and your companion. 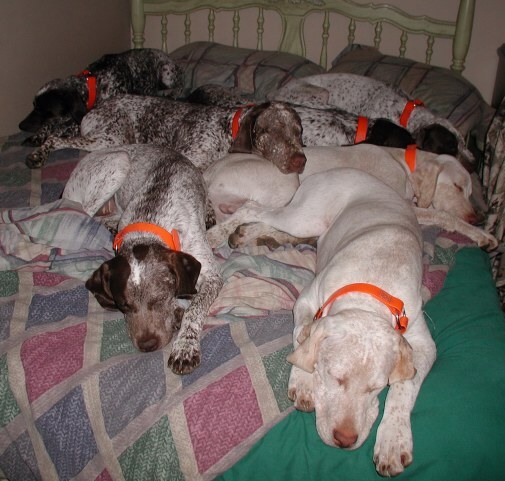 It can enrich your relationship and make living together more enjoyable. 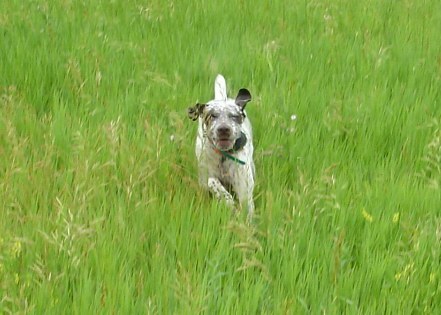 A well-trained dog is more confident and can be allowed a greater amount of freedom than an untrained dog. 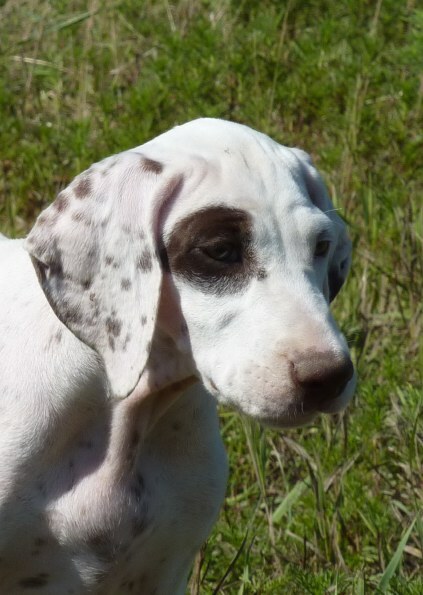 Due to our success in training Braque du Bourbonnais', we have committed ourselves exclusively to this breed. 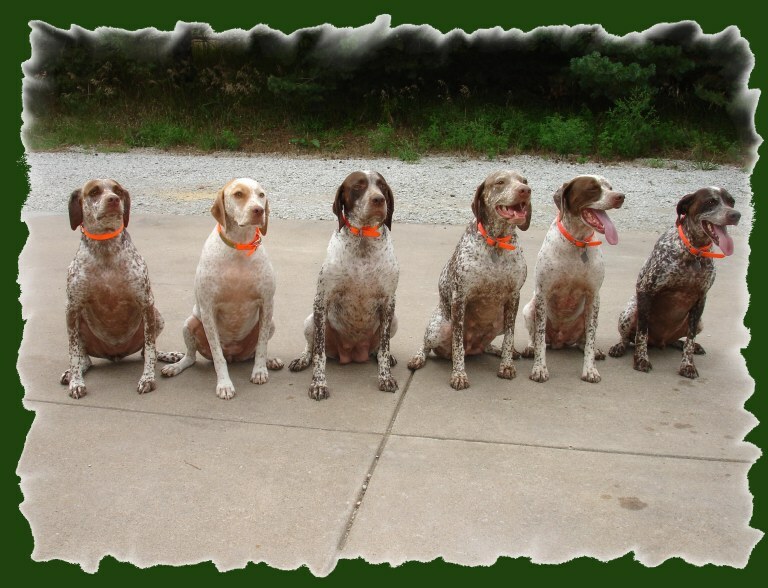 Advanced reservations are required as we limit our clients to a maximum of four at any given time. 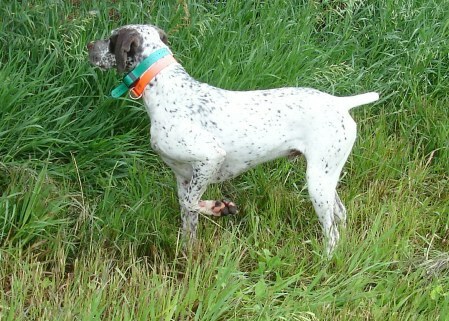 through NAVHDA in 2008, were bred by Rufnit Kennels (55%). 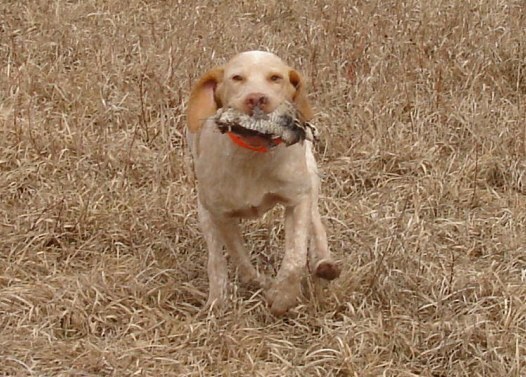 Pepper retrieving pheasant shot over her. 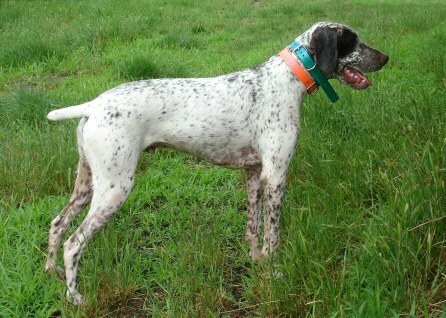 Pepper after two weeks of training, working through gun shyness and sensitiveness. 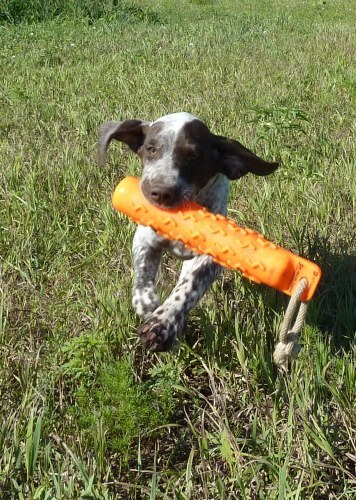 Pepper getting more confident with her points during training. 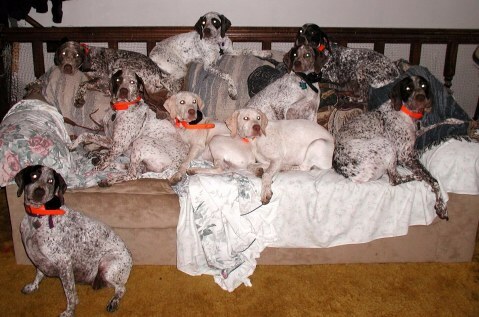 Relaxing after a day of training. 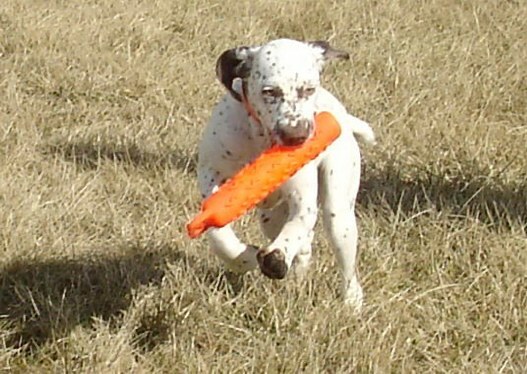 Amos during 05-01-04 NAVHDA training day. 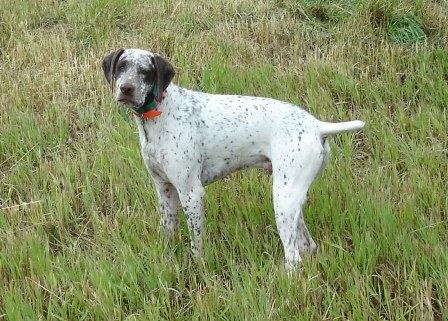 Angus as the NEW and IMPROVED hunting machine! 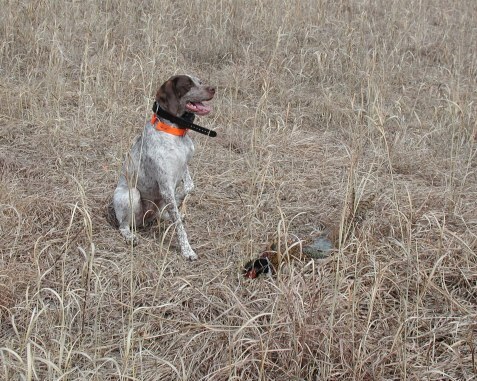 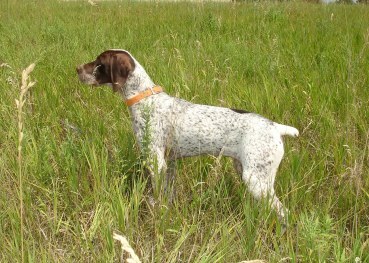 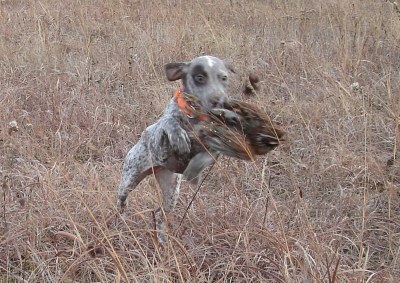 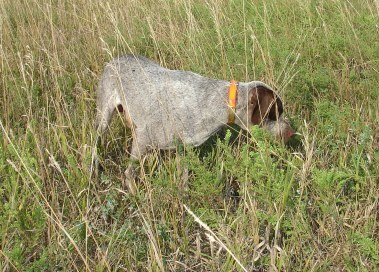 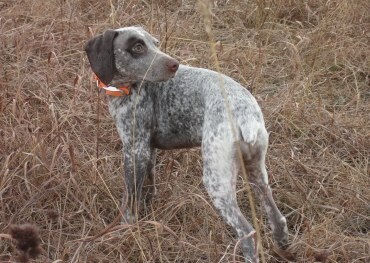 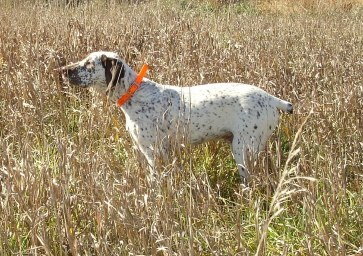 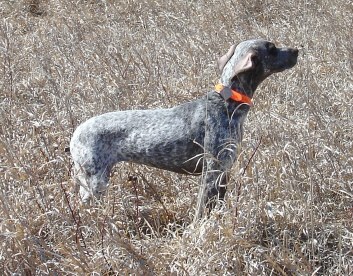 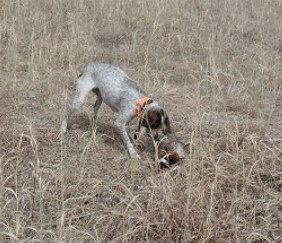 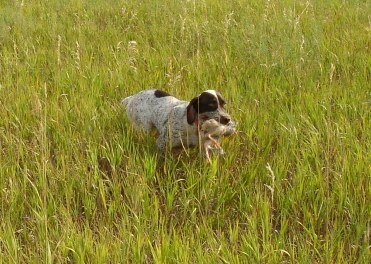 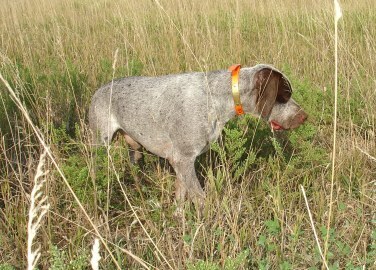 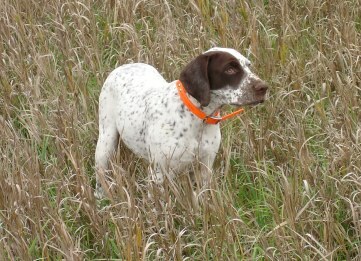 which included her first quail retrieval! 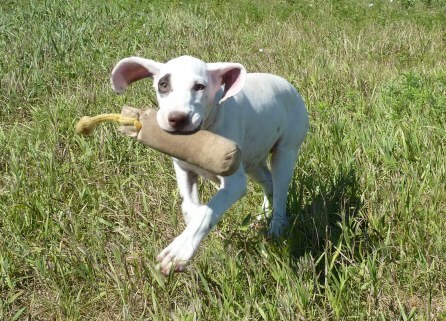 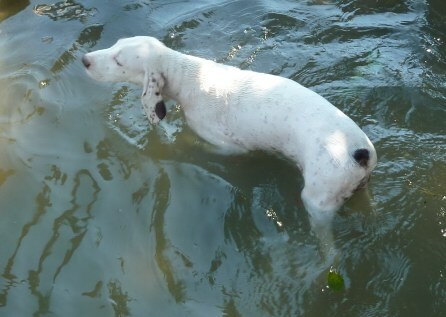 Encore...moving so fast her ears can't keep up!! 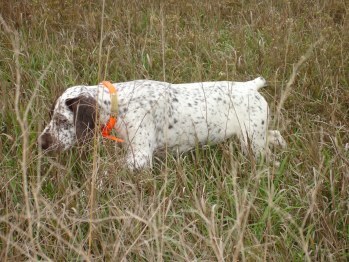 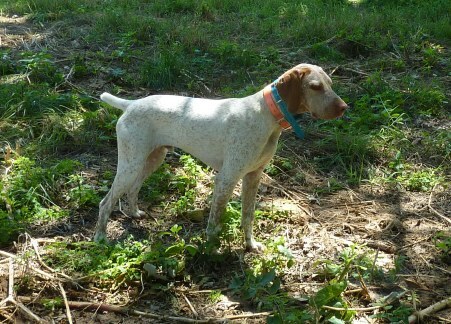 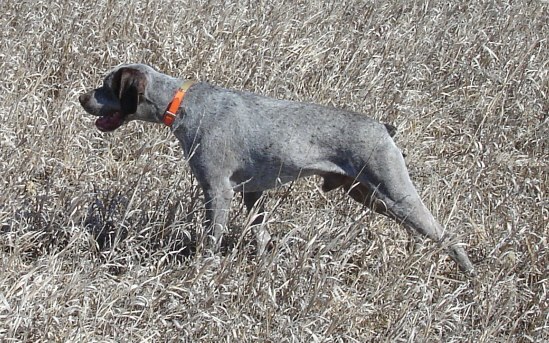 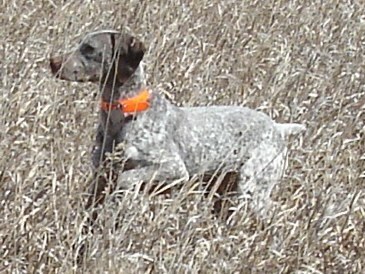 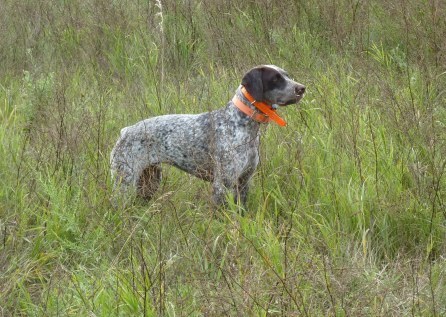 Fortune, working quail during his training session. 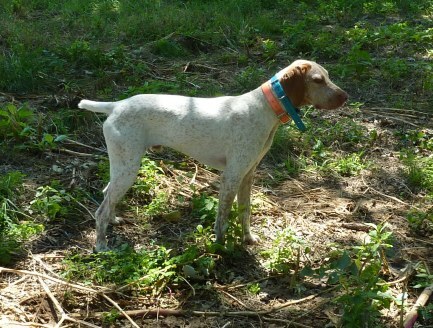 Rufnit Falicia preparing for the NAVHDA NA test! 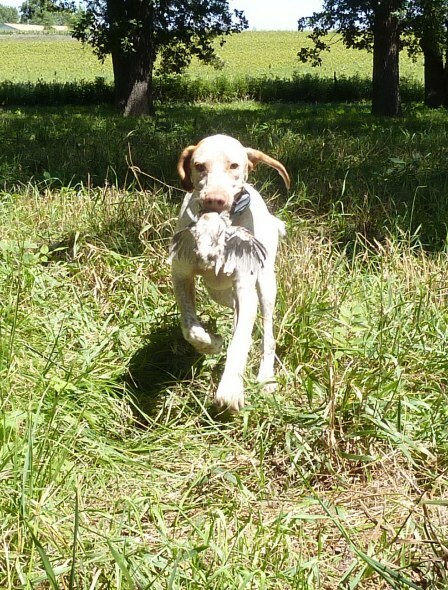 Foster, first day on North American quail...and loving it!!! 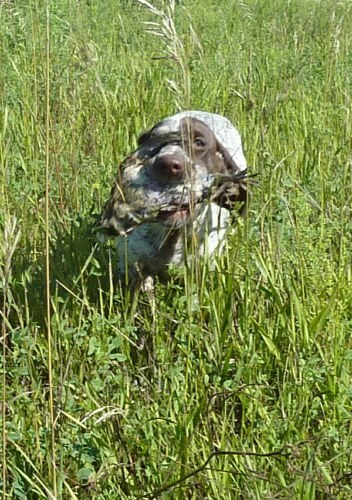 Foster, enjoying the "bird" game more and more each time!! 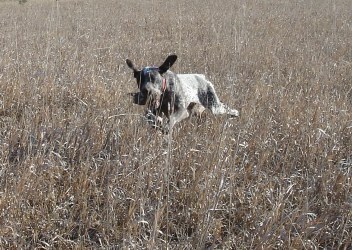 Participating in the Field Started Program and having so much fun!! 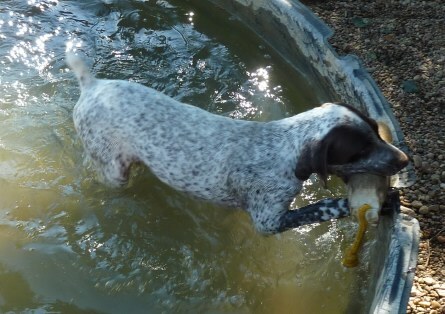 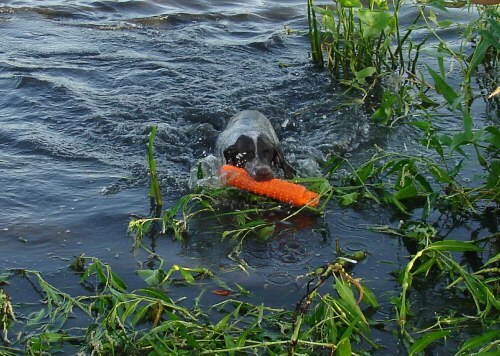 Enjoying some field work, retrieves and a dip in the pool!